(Segment 3/3) Jake, Steven, and Arman have a hot debate on how Christian Pulisic’s move impacts US soccer. Go back to listen to segment 2: We cover the Christian Pulisic signing, but more specifically, solidarity payments with Brian Costin. 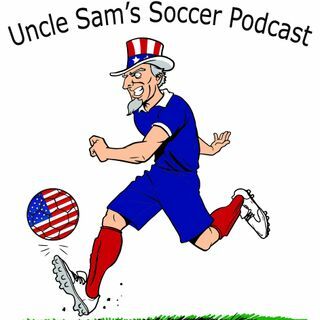 Discussion includes: Background on the issue, How it works, and How this impacts US Soccer now and moving forward with more Americans moving overseas. Go back to listen to segment 1: Brandon Busbee, ... See More host of the “London is Blue” Podcast, chats with us about everything you need to about how Chelsea fans view the American, expectations, and the worry with Chelsea’s recent history of letting young players leave too early.